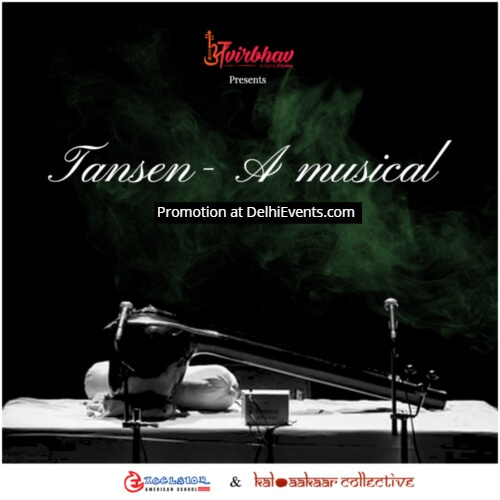 Tansen is a delectable treat of theatre and live music based on the life of the Legendary singer - Tansen! His life, his longings, his search. The play is directed and the role of Tansen played by Sudheer Rikhari, well known as the lead singer of Indian Ocean and now Susmit Sen Chronicles. The play also traces the journey of Hindustani classical music from its origin, performed in the form of “Dhrupad” till today’s “Khayal Gaayaki” along with live instruments like the Sarangi, Tabla, Pakhawaj, Harmonium and Tanpura. This, mix of music and drama that will bring alive the magic of Tansen!